Michael Drew shares this FlipNerd.com Expert Tip to discuss the importance of building a blueprint of what your financial goals are through real estate investing. Number or units of properties doesn’t matter. Dollars do. When you have a clear blueprint, your next steps will be more clear, and others will know how to better assist you. It’s great advice…watch it now! 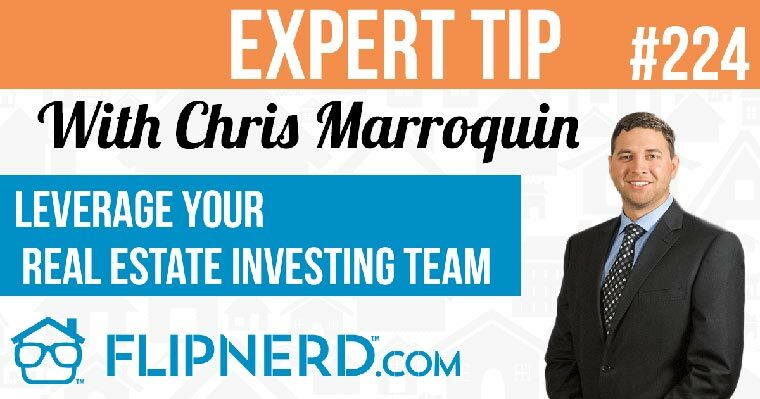 Mike: Hey, it’s Mike Hambright from FlipNerd.com and we have a quick Expert Tip to share with you from Michael Drew, who is going to share a tip on the genius of building a specific blueprint for building wealth with rentals. Michael: Well, thanks so much. I just wanted to give a shoutout to our listeners, because most recently I had one of our clients come up to me and instead of just buying a property, they came up to me with a specific goal. Just like when you go to the gym, you don’t want to just go in there and don’t know what to do. A specific goal for building rentals. And it wasn’t a unit goal, “I want x number of units.” They had a specific dollar amount that they wanted to earn in a specific time period. And myself at Real Estate Done 4U, we enjoy that. So it was actually a combination of a financed solution. We had to bring in a couple of our experts in a Roth IRA business as well as a couple other bells and whistles that we have access to that are off-market opportunities etc., to then kind of construct that goal. And when the client said, “Hey, this is the time and the effort and the resources and the credit score” or whatever they’re going to give me in order to construct that goal and lay it out there for them and what they needed to do. It was exciting. It was fun for me, it was fun for them, low stress. We started slow along the path. They don’t really have to do anything for about another eight months until another action is to be taken on their blueprint. But when you’re given that blueprint, we do those for our clients complimentary, when you get a blueprint then it’s not that stressful anymore. And it was exciting. It was exciting for the wife and the husband to buy into the plan, they shared it with a couple of their friends and neighbors. So I would encourage you to do the same thing. Know what you’re going for. Don’t just say, “I’m going to go flip a house and try to make x thousand dollars.” That’s nice, but eventually after 50 or so, you’re not going to do a TV show, it gets boring. So let’s have a specific goal, specific blueprint how you’re going to be involved. Either reach out to me or Mike, we can help you design something like that and get that done for you and your family. It’s a genius way to specifically build wealth in real estate. Mike: Awesome, and if you have that then people can help. They know what you’re trying to achieve, right? Mike: Yeah, awesome. Michael, great tip. Thank you.